Recently, I had an interview with a prospective client about a project they were interested in having me work on. I’ve been pretty lucky in my professional career. Not only have I worked for some pretty amazing companies and clients on engaging and challenging projects, I’ve also worked on some great teams. Teams comprised of people of different ages, diverse racial and ethnic backgrounds, and various areas of specialized knowledge and experience. When I first started out as a young management consultant straight out of undergrad, I was about as green as they come. I’d done a couple of internships, but none of them prepared me for the fast pace and demanding ‘expert-at-everything’ role of a consultant working at one of the so-called ‘Big 4’ consulting firms. On my very first project, I felt like a newborn deer. Awkward, unsure of myself, wanting to ‘get it right’, but not knowing exactly what ‘getting it right’ looked like. I was in complete awe of the intellectual and professional giants on my team who’d been working in either consulting or specialized industries for decades. Thankfully, these were friendly giants. Instead of leaving me to sink or swim on my own, my more experienced team members met my desire and willingness to learn with an equal amount of information sharing and professional grooming. Over time, as I worked on more projects with different teams, I learned from those people as well. And within just a few years, I’d grown from a bumbling fawn to a swift-moving gazelle with my own unique blend of skills and specialties. Since those early days of consulting, I’ve come to appreciate the immeasurable value of working alongside smart people. I’ve also come to view work as less of a job and more as 9-to-5 school, so when choosing a new role or project, it’s always important to me that the teams I’m on are people I can learn from. Sometimes, it’s not possible to tell in advance whether the people I’ll be working with are smart. But it usually becomes pretty apparent after a few months. Here are some of the telltale signs that I’m working with a group of smart people. As I learned on my first consulting project, smart people are generous. They give freely of their time, their knowledge and accumulated information, resources, even their humor. I think it’s because smart people realize that most things are better when shared, especially if those things are being shared with someone who has just as much interest in them as they do. Smart people also seem to have a different concept of scarcity and lack. Since they’re less likely to squander their time or resources, they tend to think there’s enough of themselves and other available resources to go around. Conversely, not-so-smart people are more likely to withhold information or time. This is often due to an underlying idea that ‘there’s not enough for everyone’ or that someone has to lose in order for them to win. On one of my projects, I heard more than one person on my team tell me that, “The way to get ahead in this company is by hoarding information.” It was a telltale sign that I was not surrounded by smart people. They are no respecters of title. Smart people don’t associate title or position with an individual’s degree of ‘rightness’ or worth. Smart people tend to be egalitarian in their behaviors, and they treat high-ranking colleagues with the same amount of respect as a newbie or lower-level team members. When you’re working with smart people, everyone on the team is treated as a potential expert or valued contributor. Not-so-smart people often fawn over the higher-ups in the organization, while completely ignoring or talking down to those who don’t have any significant power or status. They’re confident, but not arrogant. Smart people know their strengths, and they’re not shy about showing them off, especially when they see a need for their particular strengths on a project or within a team. Oftentimes, instead of waiting to be asked to put their talents to work, a smart person will confidently forge ahead with what needs to be done, without much prodding and with little fanfare. 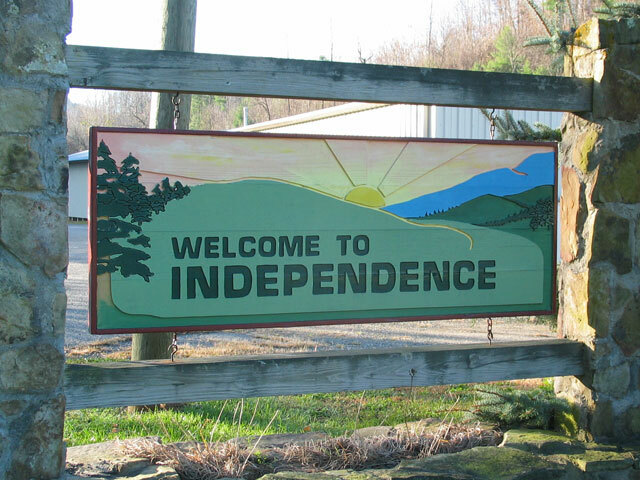 In doing so, they may even inspire others to be more confident in their own strengths. While not-so-smart people primarily seek praise and recognition for exercising their strengths, smart people are more in it for the satisfaction of a job well done. They learn from (and teach) others. Smart people are always looking for ways to become smarter. If they see that someone is more knowledgeable or more skilled than they are, they’ll get closer to that person to learn what they know. Sometimes this is done by asking lots of questions, but many times it’s done through careful observation and adaptation. They act on facts, not feelings. This is not to say that smart people don’t have feelings or emotions. Rather, they’ve learned to let facts guide their actions instead of reacting to situations or people based on their current emotional state. Even if all the facts aren’t available to them, smart people will rely on previous experience and less-than-obvious clues to make an educated guess or assumption on how to proceed. They focus on the future. Continuous improvement, what’s next, industry innovations, what the end goal looks like – these are the things smart people focus on at work. 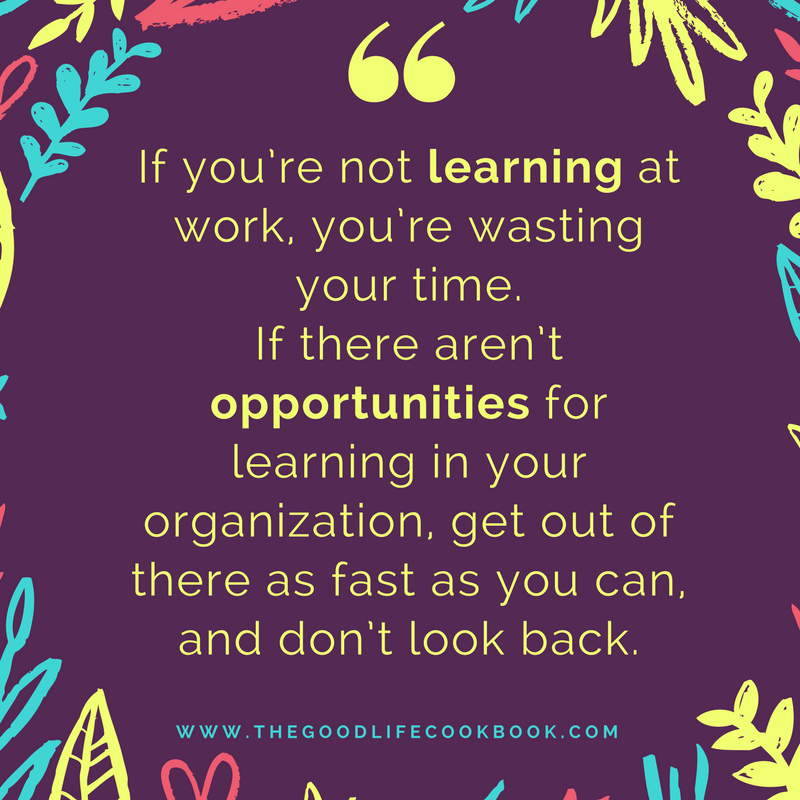 While not-so-smart people tend to emphasize what didn’t work before or are often heard saying things like, “We’ve always done it that way,” Smart people realize that the past is only relevant if it helps determine the future vision. If what happened yesterday doesn’t help them get to where they want to go tomorrow, smart people let it go and move on. They own up to (but don’t dwell on) their mistakes. Smart people don’t attempt to hide their errors or mistakes. They readily own up to them and often have a plan of corrective action already thought out when they realize they’ve messed something up. But once the mistake has been acknowledged, they won’t dwell on it or beat themselves up about it. Likewise, they don’t ‘punish’ others for their mistakes. For smart people, the mistake itself is punishment enough. They admit when they don’t know. Wait a minute, don’t a lot of not-so-smart people say, “I don’t know” a lot? True. The difference with smart people is that they usually follow “I don’t know” with, “But…” and an action plan or approach to finding out what they don’t already know. 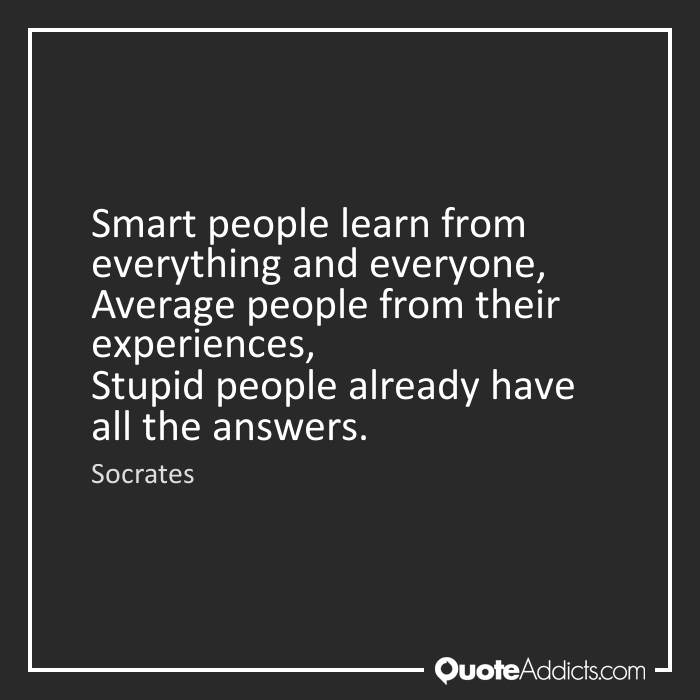 Both smart and not-so-smart people may have gaps in knowledge; but not-so-smart people tend to be comfortable remaining ignorant, whereas smart people don’t stay ignorant or unknowing for long. 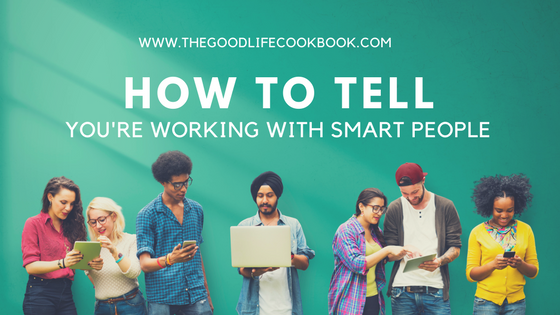 What differences have you noticed when you’ve worked with smart people? 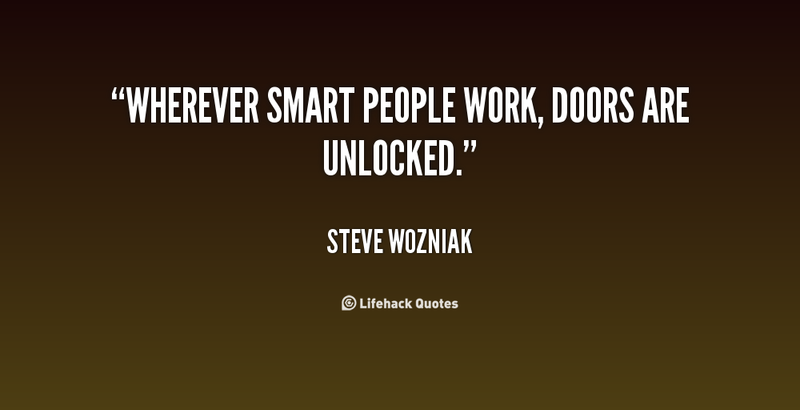 What are some ways you can tell if a person or team you’re working with is ‘smart’?